Trailing of the Sheep Festival – 18th Annual Trailing Of The Sheep festival 2014 events and times. For an authentic, eco-friendly, fun and educational family vacation this year, check out the 18th annual Trailing of the Sheep Festival October 9-12th, 2014 in the spectacular mountains of the Wood River Valley of Idaho. The Festival, which was created to celebrate an important part of the colorful history, heritage and culture of Idaho and the west, has something for everyone including an authentic Sheep Folklife Fair, a multitude of culinary events featuring American lamb, cheese and local foods, storytelling, a Fiber Festival, Sheepdog Trials, children’s activities and workshops, a Big Sheep Parade and so much more. While you may have heard some buzz about the Trailing Of The Sheep festival you will want to read some of the facts that make it one of the most loved events in the greatest city in the nation! Read below for the top 8 reasons you don’t want to miss out on the fun and excitement at this great event! Unique four-day Festival is a living slice of the American West. 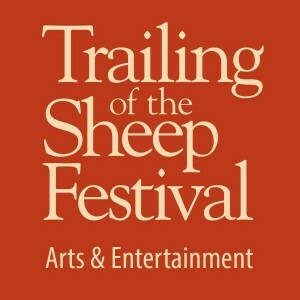 The event includes an authentic Folklife Fair, a multitude of culinary events featuring lamb, cheese and local foods, storytelling at the SheepTales Gathering, a Fiber Festival, historical exhibits, mulitcultural experiences, and a Big Sheep Parade with 1,500 sheep trailing down Main St. Ketchum, Idaho.